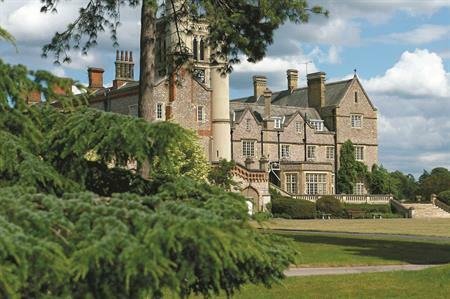 UK conference space provider De Vere Venues has completed a £350,000 refurbishment project at Horsley Park in Surrey. The renovation programme involved an overhaul of Horsley Court, which is home to two main conference suites accommodating up to 100 delegates, a single meeting room for 30 delegates and nine syndicate rooms for training sessions. Each one has been upgraded with new flooring, LED lighting panels, in-built audio-visual and technical equipment, along with new furniture to improve functionality for delegates. Horsley Court’s lobby and reception area has also been revamped, with a refreshment station serving coffee, porridge, homemade cakes, fresh fruit, biscuits and popcorn throughout the day. Michael Micallef, general manager at De Vere Venues Horsley Park, said: "With its reinvigorated look now contributing to an all-improved overall guest experience, Horsley Court now fully complements our magnificent 19th century mansion house and state-of-the-art management centre, to make up the full meetings, trainings and events opportunity here at De Vere Venues Horsley Park. We are delighted with the results." In total, De Vere Venues Horsley Park offers event organisers and meeting planners 180 guest rooms, 47 meeting rooms for up to 180 delegates, onsite free parking for 200 cars and 30MB free wi-fi. Additional facilities include a karaoke bar, delegate ‘chill out’ space, Bake & Grill restaurant, a health-and-fitness club, swimming pool and a five-a-side football pitch.